Machine learning can only work for you if you feed it with the right data. 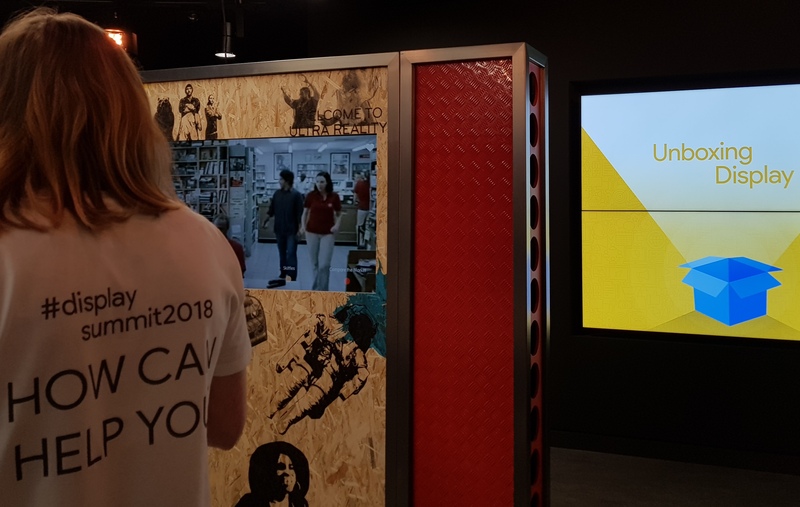 Reporting from Google’s Dublin HQ from the latest Display oriented conference Unboxing Display, I’d sum it up by saying it’s all about automation. Whether you’re concerned about scaling, showing your messages at the right time or better understanding your audience – automation can help. The secret lays in providing the system with the right data and having the correct strategy in place. In 2017, “mute this ad” was used 5 billion times. It’s time to face the music, in many ways, automation is the way to tackle the constant changes in the industry. Also, it’s just smarter. Mostly, us humans are capable of taking into consideration only one signal (age, gender, location etc.) at a time when optimizing accounts. Fair, more advanced excel users might be able to combine a few datasets. But we’re no match for machine learning that does the calculations faster and has more data points at its hand. This was discussed a lot during the conference. 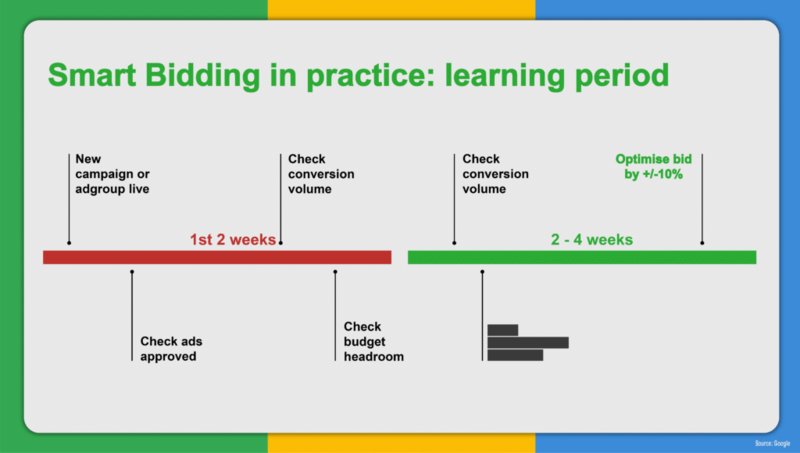 When using smart bidding, machine learning will start to score, test and evaluate your targeting suggestions from day zero. It will allocate a percentage of the budget to something, test it and if it works well, allocate more. If not, move on. Also, it has the advantage of learning from past performance – if you create a new ad group and attach an existing audience list to it, it will consider what has worked in the past. And if you didn’t know this yet, the targeting and creative history is based on the domain, not Google Ads account level. Ideally, after starting a new bid strategy or a campaign, marketers should give it 2-4 weeks before making any changes to ads, targeting or bidding. And only then start with incremental and rare changes. The ideal scenario according to Google. However, I’d suggest to take it with a grain of salt. It’s a noble idea to let the machines learn in peace but you don’t always necessarily have the money to just wait it out. We’ve seen scenarios where giving the smart display campaign time to learn came at a cost. The average CPC (cost-per-click) in smart display campaigns would go beyond €20 while search CPC-s for the same advertiser were considerably less than that. Taking into account the conversion rate and the CPA (cost-per-acquisition) goal it wasn’t feasible to let the campaign run for a month. Extra tip: We have noticed ourselves that smart display campaigns tend to work particularly well in Eastern Europe but not so well in Scandinavia. After making changes, you should also wait for the change to take effect, whereas the reaction time depends on the volume of data you have. Track the right conversions! When redefining, what a conversion is, consider creating a new campaign. Frequency cap – no cap on impressions. This was suggested in the context of automated bidding testing and defining the best frequency cap anyway. Ad scheduling – all days and hours. As did the previous, they both refer back to the first pitfall, but in reality, should be handled with caution. So where to start with automation on Display? Use Responsive Image Ads if you still wish to maintain control over targeting but are happy try out automated bidding and ads. Ready to pass over all control? Then choose Smart Display – the 100% automated campaign type. Smart bidding is the talk of the town and to make it work, it’s important to find the right bidding strategy that is aligned with your goals. Use enhanced CPC if you want to maintain control over your CPCs, but also tap into the power of smart bidding. Choose maximize conversions if your aim is to get the most conversions at your current campaign budget. Maximize conversions is ideal if you don’t have explicit CPA or ROAS goals but aim to spend your budget as efficiently as possible. Enable target CPA if you have a specific CPA goal and you wish to get more conversions at your target level. 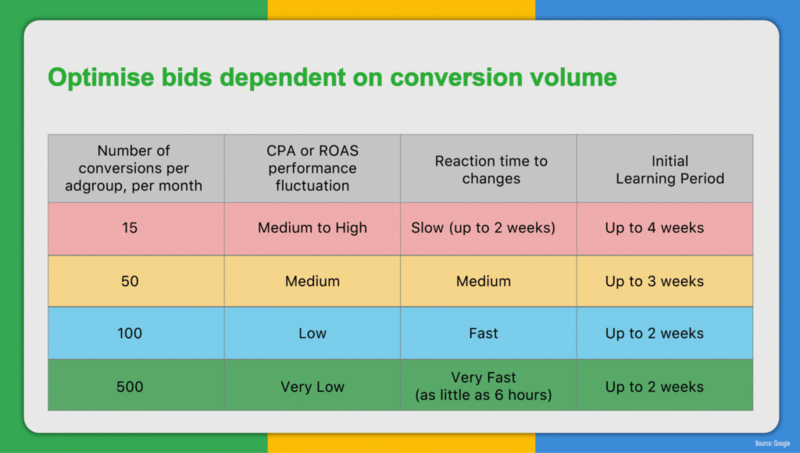 Start with target ROAS if you also consider conversion value and want to optimize for a target return on ad spend. Use Drafts & Experiments to test a new bidding strategy, as it shows you the right metrics to focus on. After all, there is no point to look for improved CTR when testing tROAS as that is simply not what the bidding strategy is optimizing for. Audiences are a great way to tap into new customers as they are free and in real-time, meaning it doesn’t cost you any extra to use them and they are constantly updated as signals change. For example, if someone is showing intent to purchase a car, they are moved into the respective in-market audience. However, when the person stops showing intent or makes a purchase, he/she is removed from the audience list. In addition to demographic targeting, we now also have life-events and consumer patterns (beta in Gmail) to help us navigate who should see our ads. It is well-known that people’s needs, and purchase decisions vary according to what is going on in their life or what their habits are and for such occasions, these are just the tools to help. Consumer patterns helps you target people based on their habits such as ordering takeout or shopping at a department stores. In addition, in-market and affinity audiences (but also custom intent and affinity) are a great way to expand your reach while still keeping your targeting relevant. Whereas some people were still concerned where the difference lays, I’ll share the easy explanation provided at the conference. Let’s say we’re talking about customers and cars. Someone browsing different car blogs is likely a user with a passion for cars and belongs to affinity audiences. However, if the person is also looking around for car insurances and loans or comparing some specific models, they’ve shown an intent to buy as these are signals that could be aligned with purchase intent. Thus, these people belong to in-market audiences. So, what are some best practices for display audiences? Customize messaging for specific audiences, including targeting affinity vs in-market audiences. Test 5-10 audiences in ad groups. 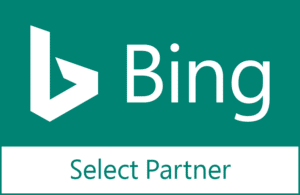 Include 5-15 keywords or URLs per custom affinity or custom intent ad group. So as reminded by BoughtByMany in the client panel at Unboxing Display, make sure you use audiences for targeting, but also for exclusions. It’s important not to bombard your audiences too much, causing faster ad fatigue. It can happen if you’re targeting them with two campaigns with similar creatives. Let’s say we have the targeting in place, but we still need to capture their attention. Whereas it is up to us to provide eye-catching images and copy, machine learning can help you deliver with Responsive Image Ads or Smart Display campaigns. But again, you need to give it a chance to learn first and not make assumptions about performance based on your personal visual preferences. Google is always testing and working on new formats, as well as battling the age-old performance vs branding question. 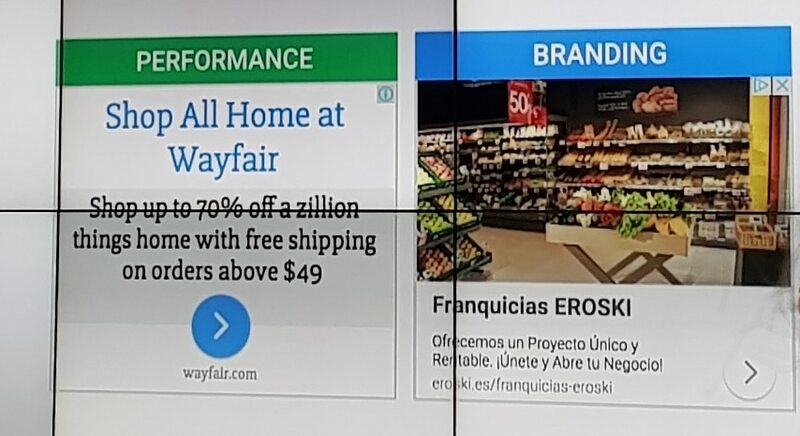 An image that appears pleasing to the eye (right ad) is not actually always the one bringing in conversions (left ad). Responsive image ads should by now have at least some part in your display efforts. Not only is it a great way to tap into machine learning powers, but it also saves you a lot of time and increases your ad coverage as the ad adapts itself to various ad slots as needed. When optimizing and editing your creatives, the same guidelines of incremental and rare changes apply. Overall, when given a chance by right bidding and ad rotation settings, the system will show the creatives that work best. So when updating ads, change the creatives gradually and run them simultaneously with the old ones to give the machine time to learn. Also, consider changing only a part of a creative with Responsive Image Ads and Smart Display, but keeping the rest the same. E.g., with Smart Display check the asset performance report and swap out low and even well-performing assets, aiming to get more best-performing ones. Something that also still got asked from the crowd was if you need to change ad rotation settings when uploading new ads to an ad group. The answer was no – when adding a new asset to the ad group, it should over serve it in the beginning anyway to learn from it. There’s no need to change ad rotation settings. Mystery solved. A common pitfall brought out for Dynamic Remarketing and Responsive Ads was including CTA in ad asset headline or description. It’s an interesting idea to test out in other Responsive Image Ads as well if including a CTA in the description actually improves or hurts the performance. Finally, don’t forget to utilize full character lengths in headlines and descriptions and upload both square and landscape photos for your Responsive Image Ads. Also, one key change to creative side is the multi-asset update. Responsive image ads will roll out with multi-asset in the next few weeks. This means that you will be able to upload up to 15 images, 5 headlines and 5 descriptions and let the machines work out the best performing combinations for you. So let’s say you’re really well equipped with the best know-how on audiences, creatives and bidding strategies, but you still have one big question left – how to attribute conversions and assess the performance of your display campaigns? Some great points were brought out in the client panel by BoughtByMany. In their case, they noticed that users who have seen display ads tend to have fewer clicks in their overall conversion path. 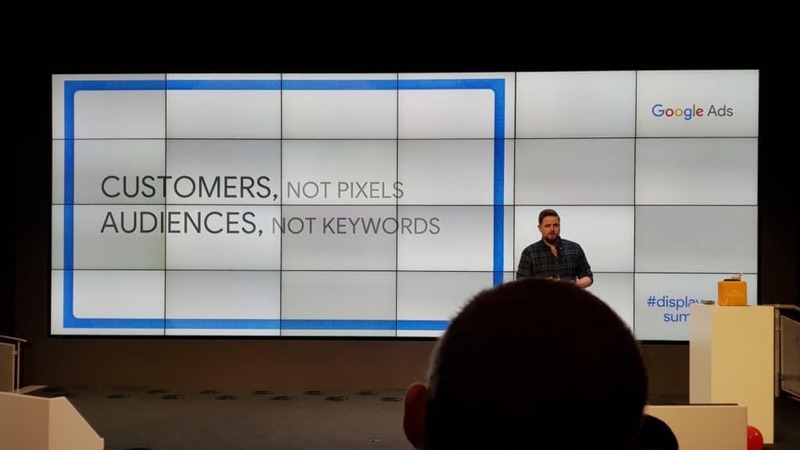 Due to this, they not only focus on click conversions of their display campaigns but also report on view-through conversions. Google attribution (beta) is slowly rolling out. It combines data from Ads, Analytics and DoubleClick and makes it easy to compare attribution models and act on the data right within the same place. It’s free, takes only 10 minutes to set up and combined data for search and display at the moment. A relatively new thing in GA360 known as user reporting. Use the user explorer to understand how specific users are interacting with your site. Enable Google signals in Analytics and get access to new Google Analytics cross-device reports. Taking all the automation information into account, one might question what will the future role of the agency be? It’s in feeding the right data, audiences and strategy. It’s not fair to be afraid of machine learning, but it’s every marketer’s responsibility to learn the ins and outs and make sure they are putting the latest technology to use when managing their clients’ accounts. Check back next week for the article on Smart Display! 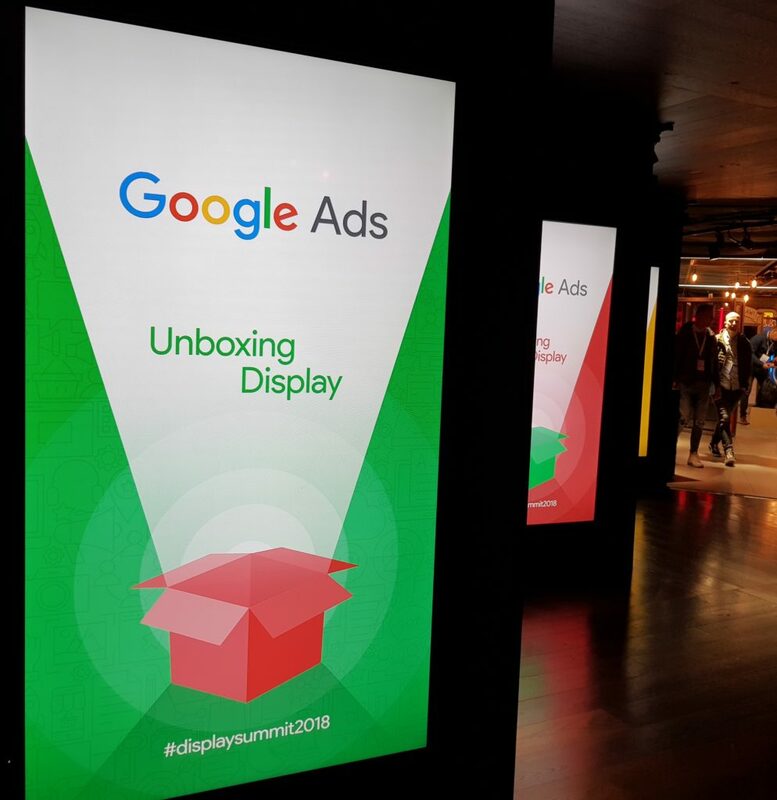 I will give an overview of what was discussed in the context of Smart Display campaigns, the tips acquired and changes awaiting in the close future.